Many of Picasso's landscope paintings of this period were produced during his various summer trips out of Paris, In 1908, he took a trip with Fernande to a small French village called La Rue-des-Bois, 65 km (40 miles) north of Paris. The region is heavily forested and trees dominate the landscape. 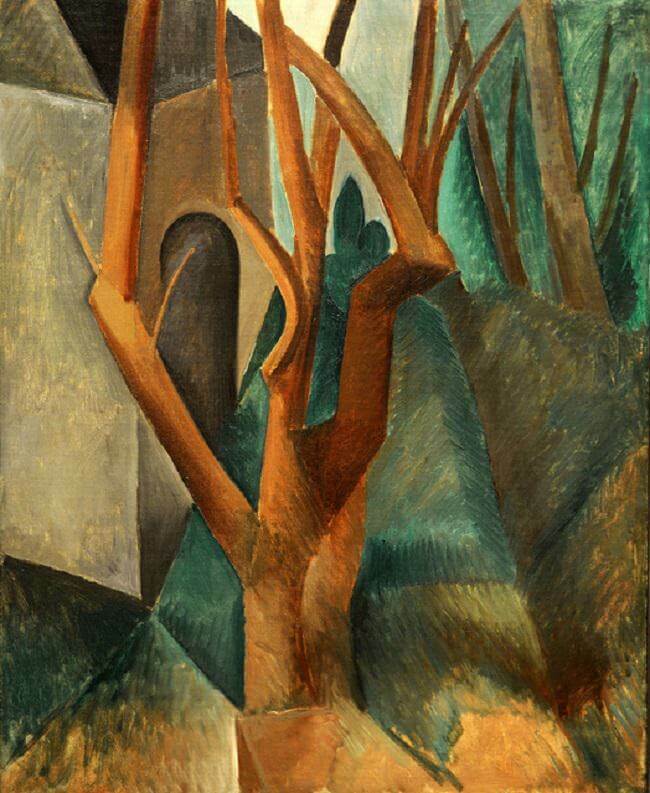 Picasso soon embraced this and produced a series of wooded landscape scenes that capture the mood of the place. However, the works also pay homage to the French painter Paul Cezanne. Since the death of Cezanne in 1906, Picasso had been striving to find a way to 'forge a dialogue with the older artist in his own works, 'Cezanne was my one and only master,' Picasso later claimed. This was certainly an exaggeration, not least of all as Picasso's works reveal a wide range of influences - from old masters and more contemporary artists. However, the landscapes produced by Picasso at La Rue-des-Bois certainly reveal a heavy debt to Cezanne, as can clearly be detected in the boldly Cezannesgue forms and colours of Landscape.